Home / Cake Decorating Workshop! Are you an avid baker or aspiring decorator who loves TV baking shows and wants to learn more insider secrets with hands-on practice? Do you think you could be a master decorator with access to professional tools and a couple pointers? Come give it a go with us at our first cake decorating workshop! 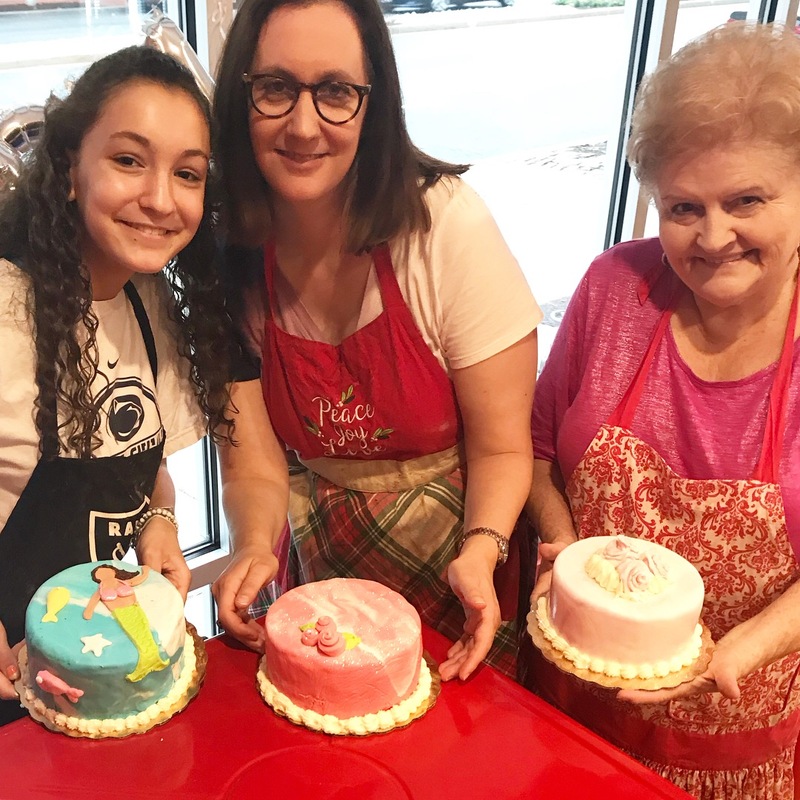 For $75, each participant will enjoy a 1.5-hour session including hands-on demo, practice, and go home with a mini cake decorated in their choice of several professional styles. Dietary restrictions, decorating areas of interest, etc.